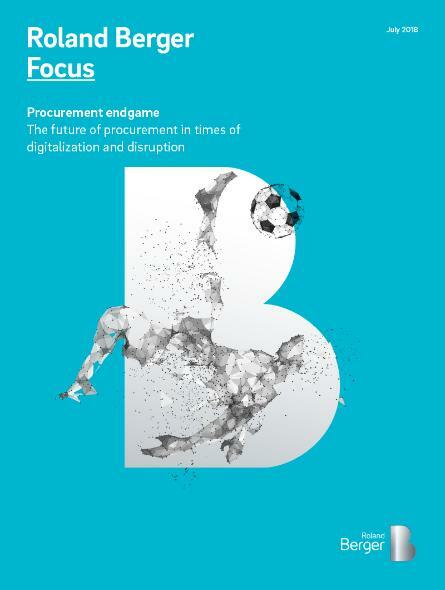 What will the world of procurement look like once the final stage of transformation is complete? Different, for sure. The costs of procurement processes, the size of procurement teams and the amount of communication in the supply chain will fall dramatically. Long stretches of the value chain will function without a word being spoken: Automatic processes will enable fast, uninterrupted and extremely cost-efficient value flows between suppliers, companies and customers, with no human intervention necessary. Tomorrow's procurement function is responsible for complete transparency across the entire value chain. These fundamental changes are made possible by the combined effect of several disruptive processes. In the first place, they affect the procurement function itself, which will find itself in a very different organization once the final stage of transformation is over. The days of traditional silo-based organizations with their hierarchical structures are over. Even global corporations, inspired by startups, are increasingly becoming "swarm organizations". The platform for this is provided by new technology, which enables an enormous reduction in the complexity of coordinating networks. Particularly significant developments include the global standardization of source code and application programming interfaces (APIs), the comprehensive use of blockchain to ensure integrity, data management systems that are integrated across entire companies, the use of artificial intelligence (AI) and the automation of processes. In swarm organizations, the procurement function is lean, flexible and project-oriented. 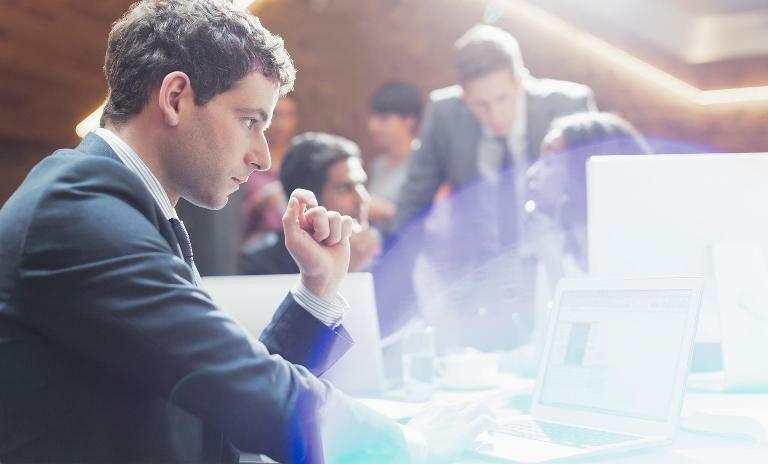 The days of large, fixed teams are past: Technology service providers have taken over previously time-consuming, labor-intensive "commodity tasks" and automated them. As a result, the procurement function has become a virtuosic project and HR manager, putting together internal and external competences from the global network for particular jobs. Procurement is searching for top talent worldwide – no easy task, as suitable candidates need not just professional skills but also technological expertise, a customer orientation, team spirit and an understanding of the overall strategic goals. The procurement function is taking on an increasingly entrepreneurial role, trying not just to reduce the cost of products and services but to generate added value, too. It does this by procuring innovations, reducing time to market and coming up with new offers based on supplier relationship management (SRM) data or logistics data, say. Tomorrow's procurement function is responsible for complete transparency across the entire value chain. It sees itself as responsible for external value creation and a key partner of the sales department, providing up-to-the-minute cost information for use in pricing. The reorganization of the procurement organization, combined with the disruptive changes seen in most industries, means that procurement requires skills and competences that are currently only a minor part of most job profiles. Technology plays a central role here. The automation of the value chain and procurement processes means that the procurement function must deal closely with IT resources. The procurement function needs an overall perspective on software, connectivity, security and data management. At the same time, technology is changing procurement's work processes, particularly with the increasing use of artificial intelligence (AI). AI plays a key role in the automation of operational procurement and strategic procurement, in both scenario development and decision-making processes. Meanwhile, digitalization is increasingly dominating companies' business models, and therefore also their supply chains, procurement structures and procurement partnerships. This creates an explosion of complexity for the procurement function. More and more often, it needs to purchase not just individual products and services but bundles of hardware, software and services to be used across the entire company. These bundles are very difficult to compare with one another. This has far-reaching implications for procurement and the number of internal and external interfaces it must deal with. The result? The procurement function moves into a new role as network facilitator and innovation manager. With customers and suppliers closely involved in developing smart solutions from a very early stage, the line between R&D, procurement and production becomes increasingly blurred. The ability to manage complex networks of stakeholders (each with their own economic, technological, social and cultural constraints), to build mutual trust, manage expectations and resolve conflicts thus becomes a core competence of tomorrow's procurement function. The automation or outsourcing of a large swathe of traditional procurement tasks means that managing the supplier network becomes the heart of the procurement function in the future. With industries undergoing unprecedented transformation, companies and their strategic suppliers find themselves in the same boat – a boat that to a large extent is steered by procurement. The procurement function must draw on all its capacity and resources, all its communication and strategic skills, to ensure that the company remains competitive long term. This requires a clear differentiation of tasks based on strategy. The old tasks of procurement can now take care of themselves, so the procurement function can dedicate its time and resources to new tasks. With the help of new technology, the procurement function can enjoy complete transparency over supply structures and risks, monitoring both in real time. The procurement of simple and non-critical product groups can be fully digitalized and automated with the help of intelligent platforms. This frees up the procurement team so that they can focus on strategic issues, such as ensuring security of supply for scarce resources, creating and developing networks, procuring innovations and managing intellectual property (IP) globally. Systematically implementing differentiated supplier management models also creates the right conditions for finding solutions to the key changes of the coming years within strong strategic partnerships. That includes reassessing best-cost country sourcing (BCCS) in the light of Industry 4.0 and additive manufacturing, establishing highly localized, customer-oriented production and achieving cost-effective production of "Lot Size One".